One 4oz, Jar or choose 1 lb. of Green Copper Orange Chameleon Flakes. Changes color with light and angle for a beautiful effect. One Jar treats close to a gallon of paint! For best effects, spray over black, but works with any color! Try this in epoxy resin, polishes, sealers or other coatings for a great custom effect. 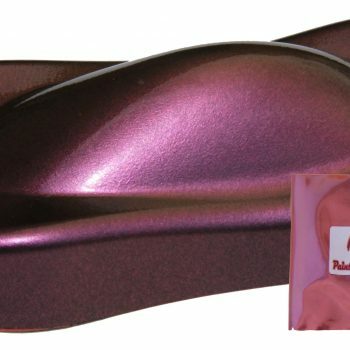 This is one of our favorite flakes in the Chameleon Paint spectrum. It looks much better in person, but custom paint often does. Our Green, Copper Orange Chameleon Paint Flakes have several color changing aspects, but photography tends to capture only a few of them. There are some paint companies that refer to these flakes as “ice crystals”. Just add the desired amount to your paint. If your paint gun has a built in strainer, you might want to remove it. 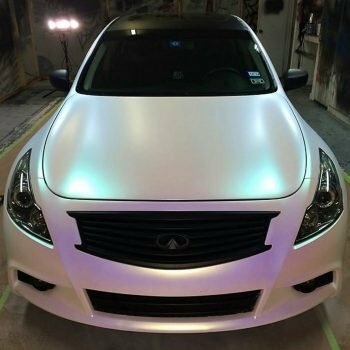 These custom chameleon flakes are truly easy to mix and spray to create your own custom paint job or project, whether it be car, motorcycle, watercraft, or in the home. It will literally mix with any clear finish, so it is good for fiberglass as well. 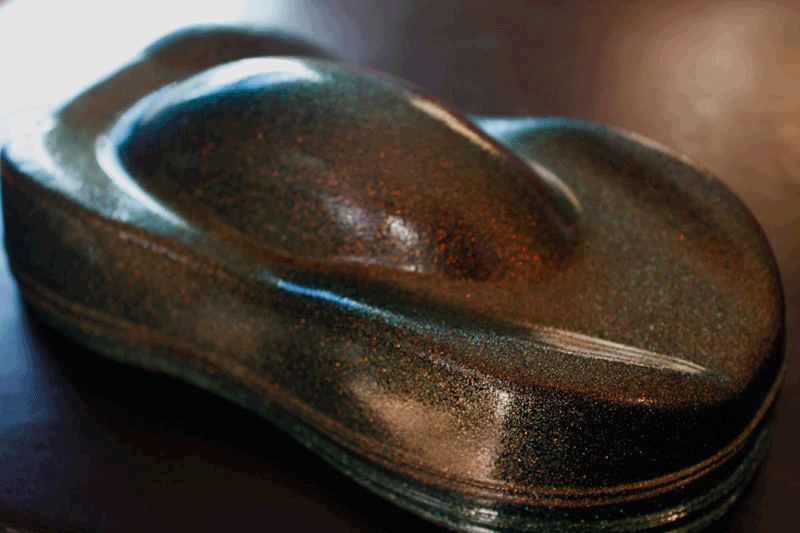 Try our Green Copper Orange Chameleon Paint Flakes for a truly expensive looking custom paint job. Don’t forget to watch the above video for a great idea of the color change of this incredible chameleon flake. Visit our FAQ page for more answers to your questions, or contact us, we are always ready to answer questions. Use them in paint, or in powder coatings, use them in fiberglass, or epoxy. Used often in Liquid Wraps or any other coatings. 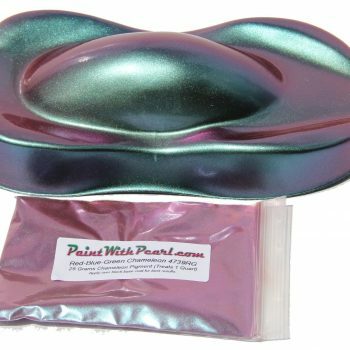 Not only are all of our Metal flakes completely compatible with all other coatings, we were the people who introduced Pearls to the world. Green copper orange chameleon paint flakes for a more classic, subtle look. The color shift is all based on earth colors, so it looks more subtle.